"Every year, one funny book seems to stand out from all the others. 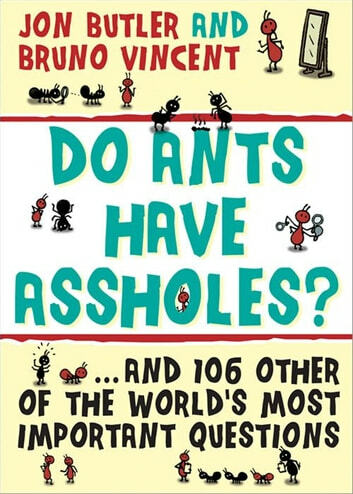 This year, it's Do Ants Have [Assholes]? "The book being touted as this year's can't-miss, downstairs-loo-fixture of a dead-cert publishing-phenomenon-sensation"
"A very funny spoof of pop-science collections"
respectability have serious questions, they turn to the Old Geezer's "Questions and Answers" page. If you see an endangered animal eating an endangered plant, what do you do? How many men would it take to kill an elephant with their bare hands? Are "crabs" related to crabs? 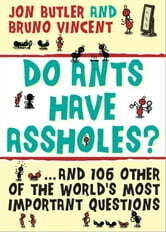 Books related to Do Ants Have Assholes?